Rem is an internationally-acclaimed illustrator known for her work on the manga adaptations of Harper Collin's popular Vampire Kisses series as well as NHK/Nickelodeon's Domo. Her one-shot titles, Devil's Candy and Kage no Matsuri have won awards in both America and Japan. 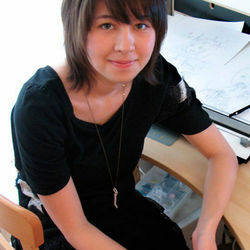 In addition to her work as a comic artist, she has also provided character and environment designs for video games by Acclaim and Oni-Soft.